Demonstrators at North Dakota’s Pipeline protest have spoken out about the amount of white people who have turned up to “colonise” the camp. The concerns have been raised by protestors in a series of tweets and Facebook posts. 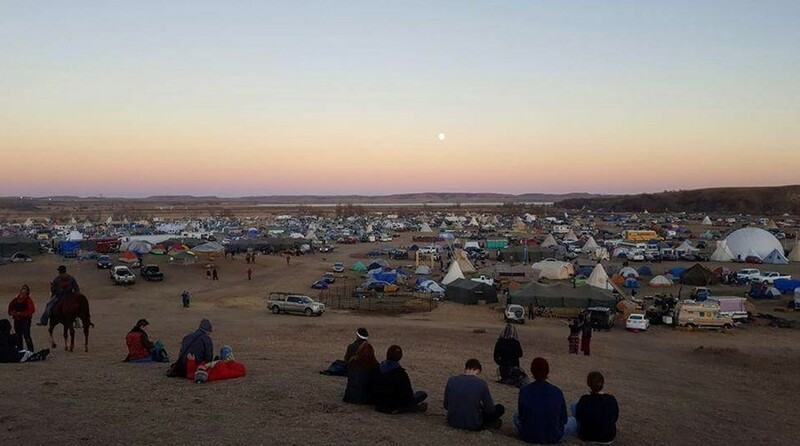 According to them, people have turned up to the Standing Rock demonstration to soak up the “cultural experience”, and are treating the camp like it is “Burning Man” festival or “The Rainbow Gathering”. She added that many protestors appeared to be living off the native Americans, and were taking full advantage of the donations that people had been sending in for the cause. This was a trend noticed by another Twitter user, who witnessed one protestor turn down tap water to spend donations on “fluoride free” water. The situation has reportedly got so bad that an open letter detailing the camp’s ground rules has started trending on Twitter. Responding to the new influx of support, it reminds demonstrators that the camp is “not a vacation.” It also says that protestors should avoid drugs and alcohol, engage with the elders, and refrain from playing “guitar or drums” around the fires. The construction of the 1,170-mile long pipeline has sparked protests for its potential effects on the Missouri River. The water, which is relied on by the area’s Standing Rock sioux tribe, could end up being contaminated with crude oil; threatening the livelihood of many native Americans. Over the last few weeks, the protests have gained publicity from the amount of famous people who have chosen to speak out against it. This includes Grimes, Shailene Woodley, Bernie Sanders, Katy Perry, and Jaden and Willow Smith. Sign the petition to stop the construction of the DAPL here, or donate to the Standing Rock tribe here.